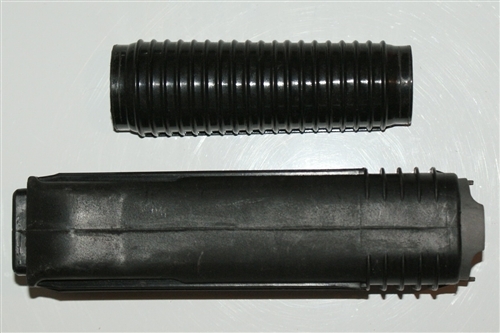 Russian polymer upper and lower handguards. The upper has ribs. 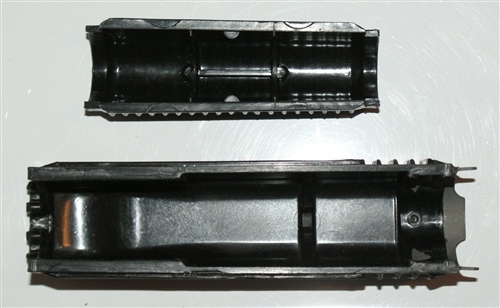 The lower has no heat shield. With very minor modification to the rear lip on the lower handguard (won't be visible once installed) these handguards can be used on a Vepr 12 shotgun.